Posted on October 9, 2008 . Munich, Germany – Oct 2008: BMW world headquarters. The building was built between 1968 and 1972 and declared historical in 1999. 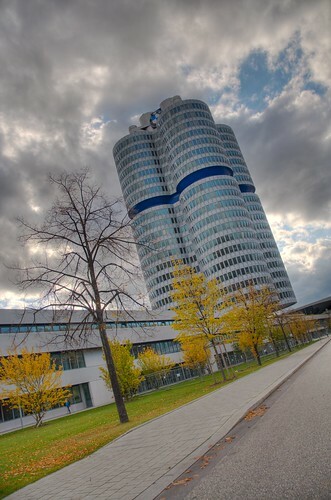 The BMW Museum is located right next to the tower, while BMW Welt which presents the current cars of BMW and acts as a distribution centre, opened on the opposite side of the road on October 17, 2007.